The Biglow & Company Inc. Insurance Agency is a full service Financial & Insurance consulting firm. 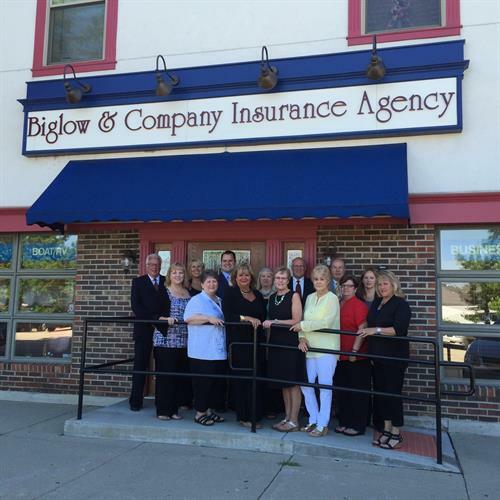 Since 1976 Biglow has been offering insurance and risk management solutions to thousands of families and business concerns in Northern IL and Southern WI. The Biglow Agency offers several carefully selected, highly rated regional and national insurance companies. We are committed to service, and our objective is to establish a long standing relationship between you, the insurance company and our agency.As an independent Agency, we do not work for any insurance company. We work for you, as independent brokers, placing the business with the company offering the best value. Emphasis is placed on coverage, service and pricing. We have a full time staff of Customer Services representatives that are available to assist with billing questions, claims, minor policy changes, certificates of insurance along with bonds, and other concerns.